Toss A Coin | Brilliantly Me! 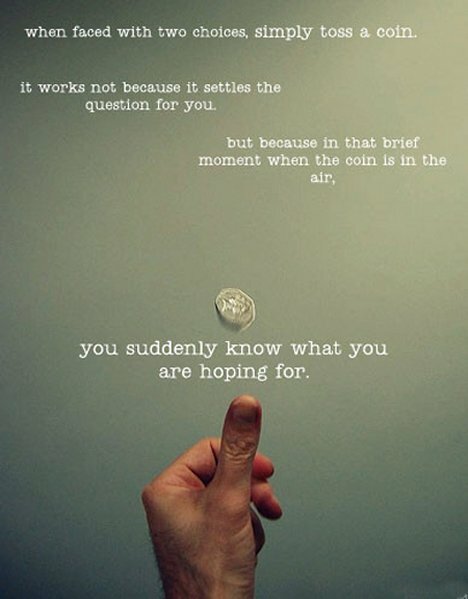 “…in that moment when the coin is in the air….” true. We always eventually know what we want, only we often time deny (or ignore) it. Yup, I agree with you. Sometimes we just need that extra conviction that the decisions we make are the ones that we truly want to make.